Surprise someone special in a special way. 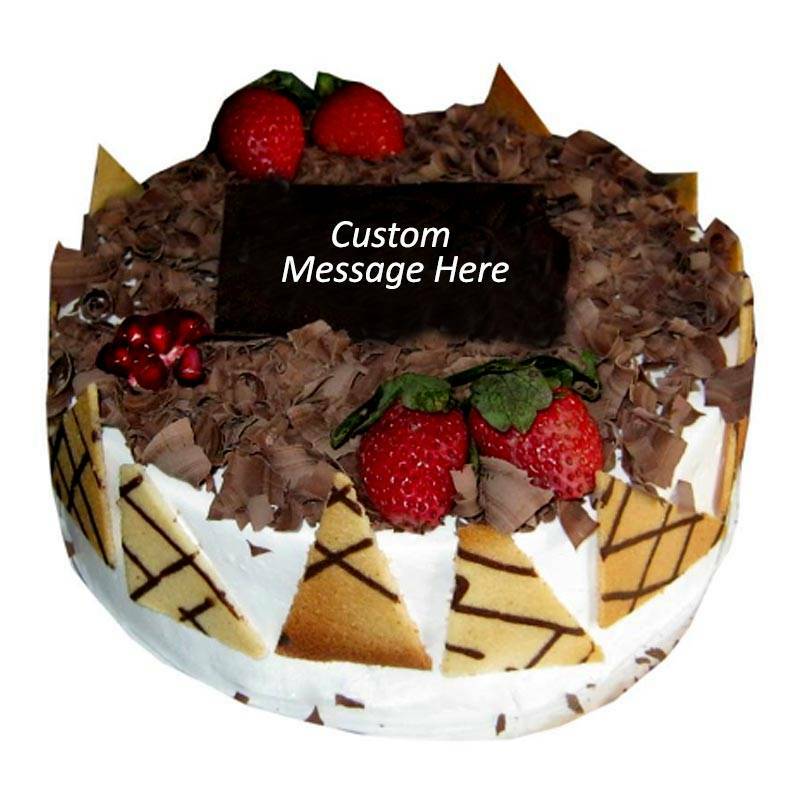 Gift them a Black Forest Cake, a Lip smacking Fresh Cream Cake From Julies Cake & Pastries, sprinkled with chocolate shavings. The exotic taste of Black Forest brings refreshment, whipped cream and chocolate in layers of chocolate sponge cake, weaves its magic. Ingredients: Dark Sponge, egg, sugar, flour, rum, chocolate, rich cream, fresh cream and wrapper.